The Braem Pavilion at the Middelheim Sculpture Museum in Antwerpen Belgie circa 1968. The fountain on the forefront is no longer present but the the beautiful Beech trees in the background are as healthy as ever. Photograph is by the hand of A. 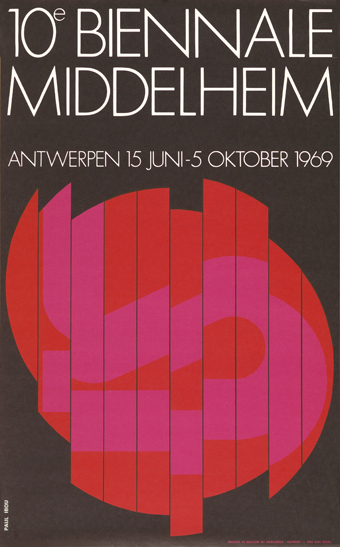 De Belder, 2520 Edegem (1968). 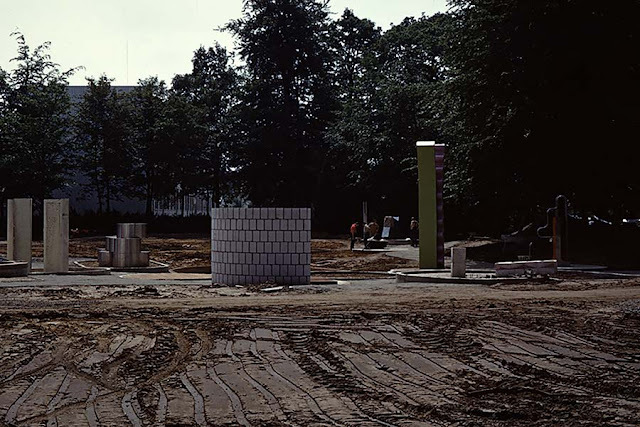 Middelheim Museum around 1968. The Ijsbeer (icebear) is a work by François Pompon from 1920. It has since been moved behind the house. The whereabouts of the beautiful fountain are unknown (no longer at this spot). Photograph is by the hand of A. 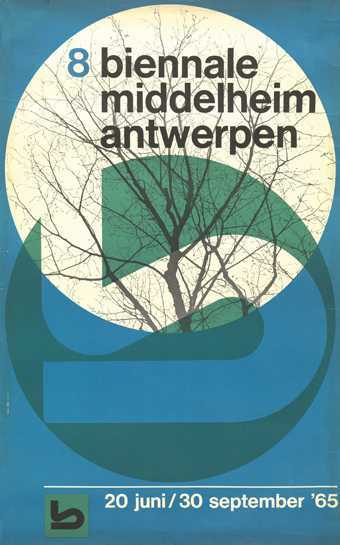 De Belder, 2520 Edegem (1968). 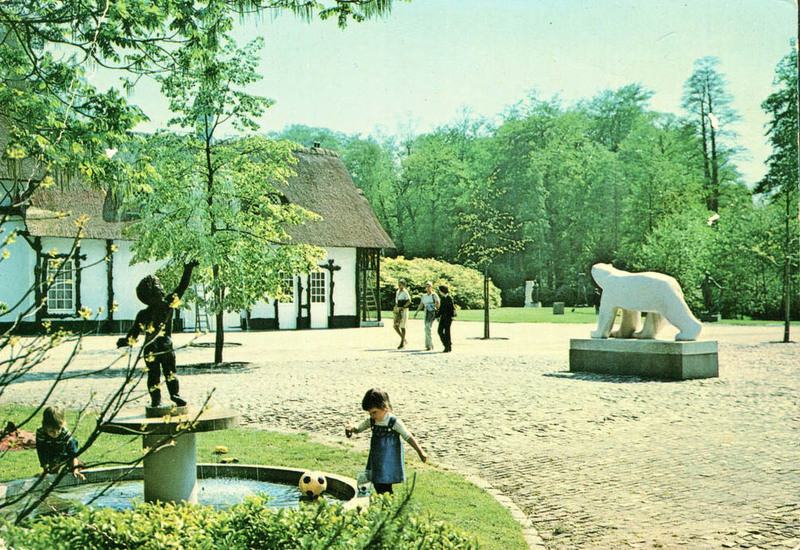 Middelheim Museum around 1968. 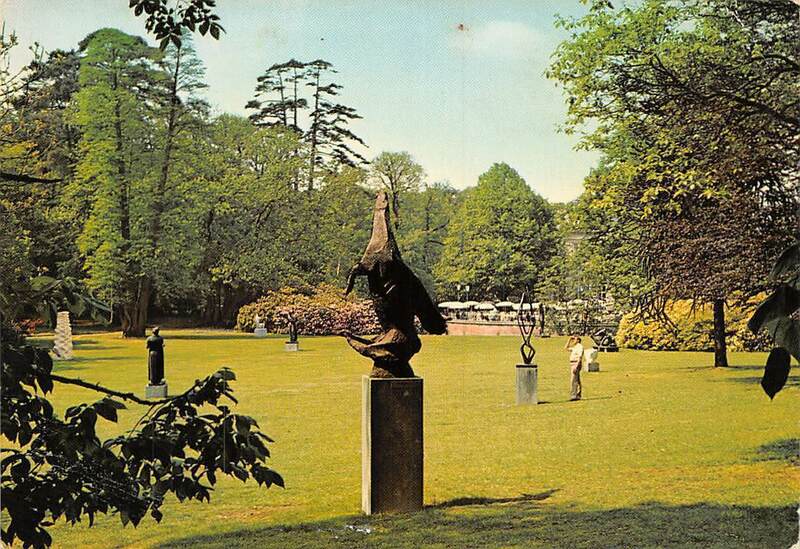 Most of these sculptures have been replaced. Photograph is by the hand of A. De Belder, 2520 Edegem (1968). The year is 1970. 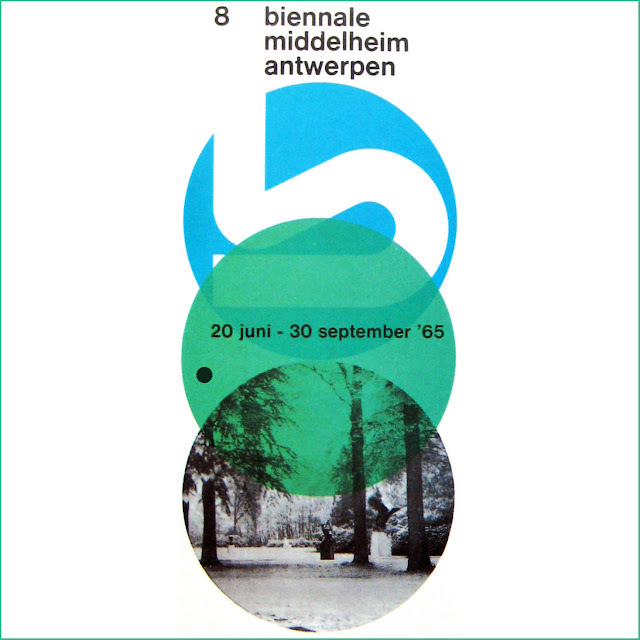 Things are getting experimental; 1970 is a "center year" since it falls between 1968 and 1972'; the magical 4 years of space age design. 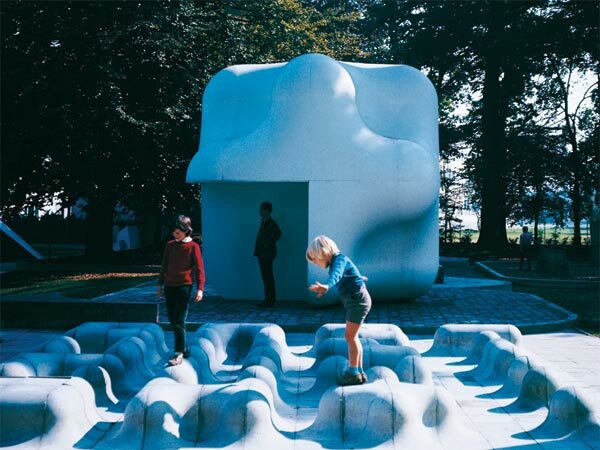 This cubic sculpture was fun to discover and the park guides actually encourages kids to play on them; the way sculptures should be experienced. Cubic structures was created by the Dutch artists Jan Slothouber en William Graatsma. It was removed and its whereabouts are unknown. The year is 1971. It is a a good year. Things are still going well; people are happy; the economy is doing well. 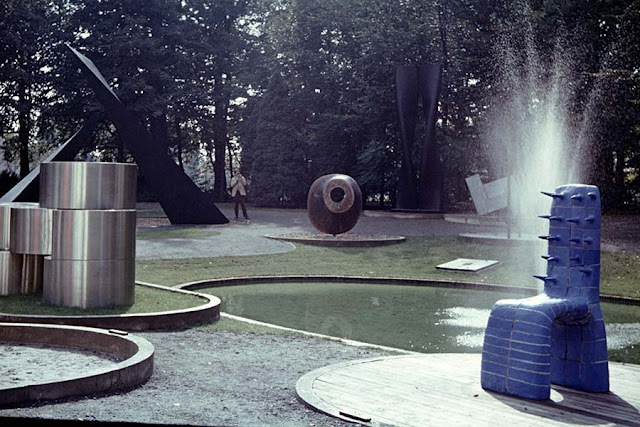 But you can sense the world is about to change (the blue chair sculpture is a premonition of the oil crisis of 1972 - confusion). I can feel it in the air. It's hard to describe; but the feeling is there.... I want to hold on a little bit longer. The work above in the center is by the hand of Lucien Den Arend; he writes "In a way my work was one of the more traditional sculptures presented at this eleventh biennale, featuring Dutch sculpture in the older part of the sculpture park and sculpture from the Americas on the other side of the road. At the after-party I met Yutaka Toyota, Jorge Dubón, Mark Di Suvero, Pierre Heyvaert, Peter Gnass and others. I met some of them abroad again later." 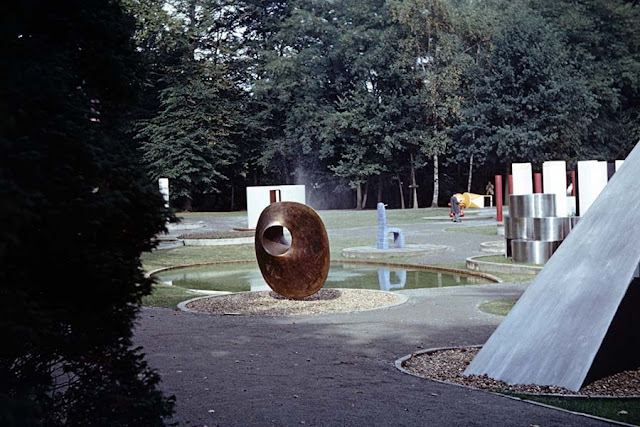 The concept of the Middelheimmuseum sculpture garden has few equals. For half a century, investments were made in the construction of an impressive collection of artworks. 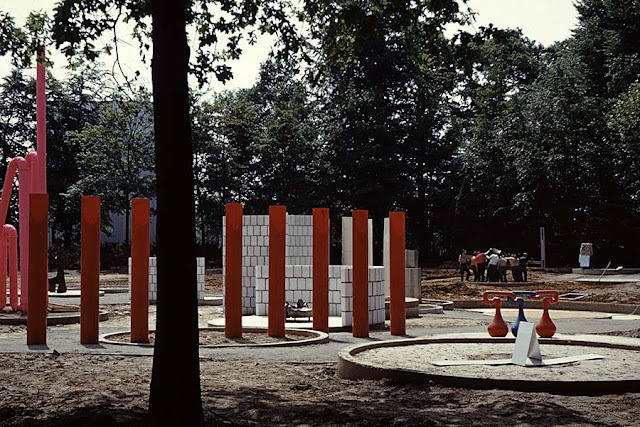 In addition to the works drawn up in the museum park, which together offer an overview of more than a hundred years of sculpture, special solo and group exhibitions take place on a regular basis and images from the collection are presented in thematic exhibitions. In addition to the sculpture collection, the park is also a great example of landscape art. 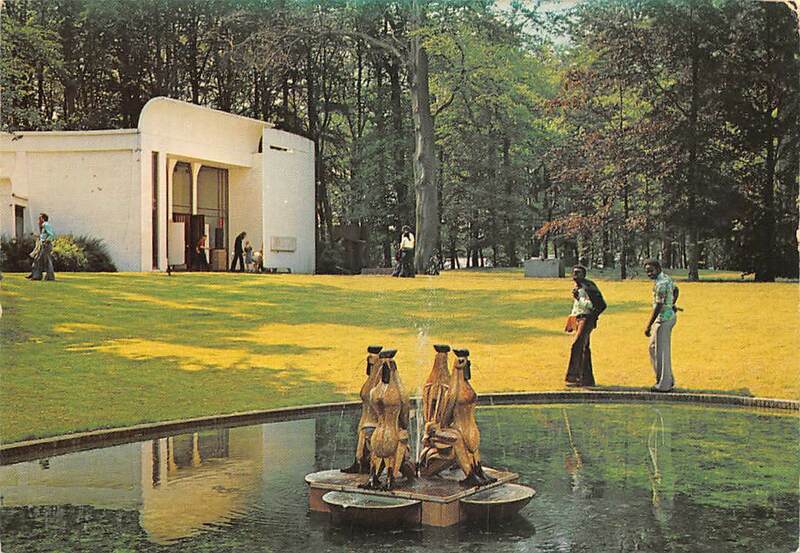 The collection of the Middelheim Museum accounts for some 400 works of art, the result of more than half a century of collecting and building. The works are situated from ca. 1900 to today and bring a beautiful international overview of modern and contemporary art. The collection expands annually. There are approximately 215 images. Under stately trees, along broad footpaths and on inviting lawns, visitors meet big names such as Auguste Rodin, Rik Wouters, Henry Moore, Juan Muñoz, Carl Andre, Panamarenko, Franz West, Erwin Wurm and many others.